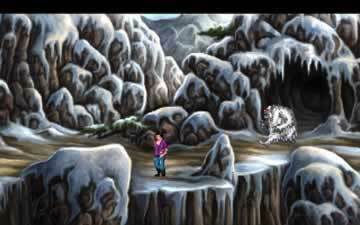 King's Quest 3 Game - Download and Play Free Version! 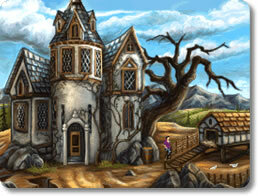 Outsmart the Evil Wizard and Uncover Your Missing Past! Everything seems to be good in the fair land of Daventry. Unfortunately, such is not the case for everyone. Take young Gwydion for instance; it seems that his parents perished while he was an infant and he has since been raised by a wizard named Manannan. However, Manannan is no wise and kindly magician; he is a cold, cruel and abusive individual who treat Gwydion as nothing more than a personal slave. Luckily, things are about to change for the boy. One day, he wakes up to hear a feminine voice calling his name. Sure enough, he even spots a mysterious woman in the distance beckoning him. He doesn’t know what exactly that’s supposed to mean, of if she was even real. Nevertheless, when the wizard informs him that he intends on leaving the house to go on a journey, Gwydion makes his choice. He sets out to finally escape from Manannan, see who that woman was, and hopefully uncover the truth about his parentage. 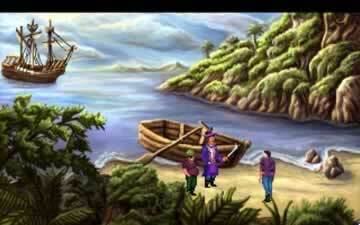 King’s Quest III: To Heir is Human marks the third chapter in the illustrious King’s Quest franchise. First released in 1986, it offered a slight change of pace and a fresh perspective in that it gave players a whole new protagonist to play. Just like the first two games, it has also been remade as King’s Quest III: Redux, and was hence given a wide variety of new features and updates to please both old and new fans alike. Features updated 16-bit graphics for a beautiful retro-themed experience. Fully voiced text and dialogue. Animated portraits with lip-synched speech. Revamped spell system that doesn’t require a physical game manual to use. More concisely written story that fleshes the characters out more and fills in the plot holes. Despite the change in protagonist, King’s Quest III retains the series’ many traditions, including its complex puzzles, whimsical nature, sense of humor, and emphasis on exploration. Furthermore, Gwydion has a few tricks up his sleeve that he’s picked up on during his years of living as a wizard’s servant. New spell-casting system! Gather ingredients around the world to cast a variety of magical spells that will help you in your journey. New timed challenges. Try and do as much as you can while your master is away. Be mindful of your actions. If Manannan finds out that you’re up to something, it will be the end for you! King’s Quest III continues the saga, preserving all of the franchise’s strengths while mixing in a few new innovations. At the same time, it also provides a good starting point for beginners of the series. Nevertheless, just like the remakes of its two predecessors, King’s Quest III: Redux is completely free. With so much to offer at so little cost, there’s no reason to pass this quest up!